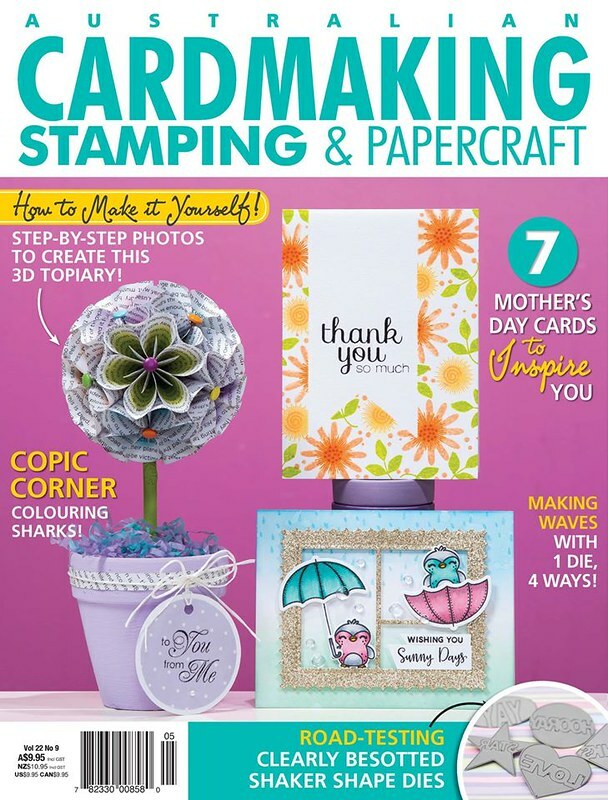 I have a toot toot post today sharing one of my cards published in the latest Australian Cardmaking Stamping and Papercraft magazine. Here is the card in full. 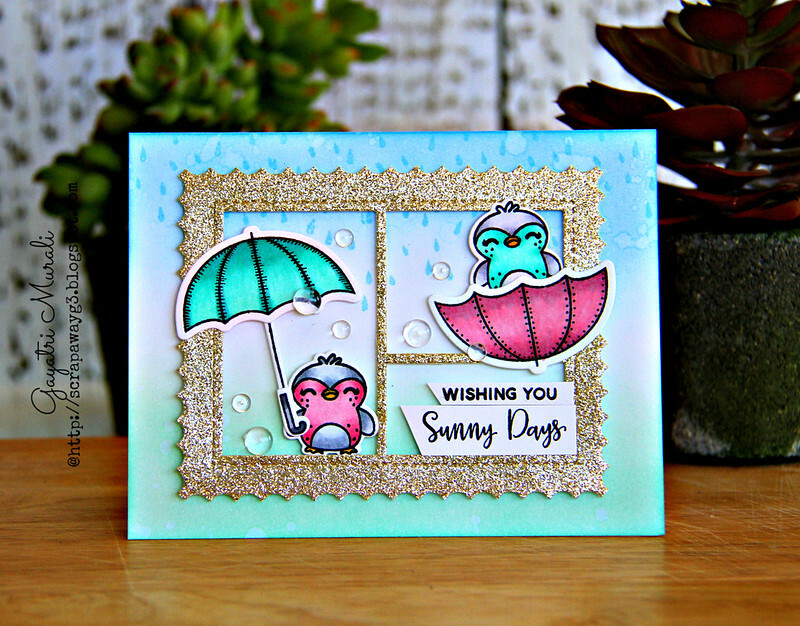 I have used Pretty Pink Posh’s Storybook 1 die, Scallop Frame die, Clear Droplets, Rainy Days stamp set and Holiday Pals stamp set to make my two coordinating cards. This is one of them. Check out the other in the magazine. The Magazine is now available for purchase at all News agencies and Supermarkets. If you like to subscribe the magazine, then here is the link. Gorgeous Gayatri. Will keep my eye out for this one. takes a while to get here to NZ but I love getting this one and see your cards in it… delight in telling my friends… I've meet this lady!